It's been a week since I ran the Chicago Marathon and the race already feels like a distant memory. I haven't run since and I'm not too sure when I will run again. I'm not taking a break, but it's gotten cold in DC and I was pretty content to just take a week off. I'll run again when I start to miss it. 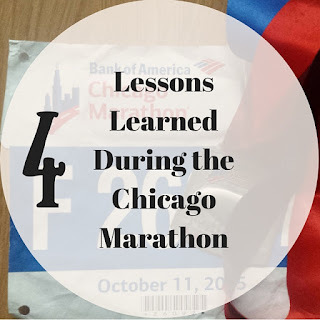 Chicago was my sixth marathon and, with every race, you learn something new. That's the beauty of the marathon...that in the distance, in the miles and moments that hurt the most, you always learn something. 1. My longest run was 20 miles. I know a lot of people who cap their marathon training at 20 miles. I did this for my first marathon, but for every run since, I've run above 20. I ran 21 for Marine Corps, 26.2 for Madrid (I ran a marathon as a training run), and 22 for New York Richmond. Running above 20 miles will not make you run a better race, but for me, it makes those last six miles mentally easier. I had planned to run 22 for Chicago but with the knee issues I'd been having, I didn't want to take the risk of overdoing it and not making it to the start. When I hit the wall at Mile 23, I knew this was a mistake.In the past, when I've hit the wall, I've pulled out of it by saying, "You've already run longer than this." In this race, it was a lot harder to pull out of the wall. *Note: I hope I've made it clear that this is what works for me. I know plenty of people who do just fine on a last long run of 20 miles, but I need the miles above 20 to give me that last mental push in the race. 2. I never raced before the marathon. I've always run at least a Half or two during marathon training to gauge my fitness, test out my Race Day gear, and just get familiar with the mindset of racing. I've run three races in the last 2 years so Race Day seemed totally unfamiliar. I think that's why I was so nervous going into the race and why I wasn't able to have fun. I was too focused on the variables. If I had run a Half before, only the second half of the race would have seemed unfamiliar, but maybe not even since, by that point, I would have already been in it. 3. All I wanted was to finish. Are you ready for an unpopular opinion? I don't think anyone should ever set out to "just finish" a marathon. If you've put in the training and spent your weekends logging miles and have made it to at least 18 miles, you should never want to just finish. 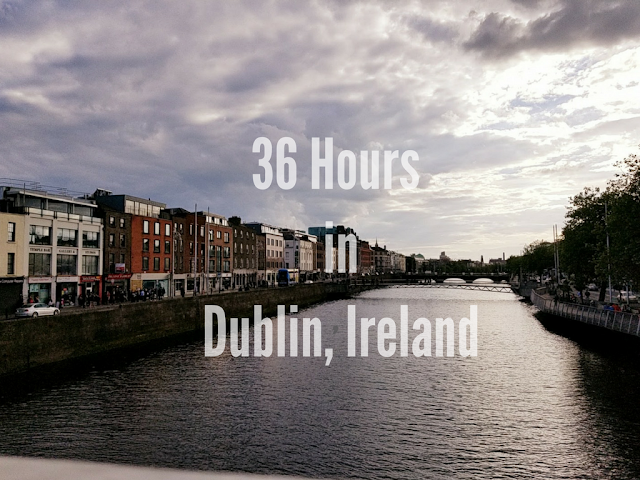 When I ran my first marathon, my goal was to run it in as close to 4 hours as possible. I knew that based on my training, I was capable of that. Whether your goal is to run a negative split or to not take a walking break until Mile 20, or to sprint the last 0.2, you should have a goal that isn't simply to finish. I made it through an entire training cycle without an injury flare up, so my goal should not have just been to finish. It should have been to just have fun. I said that that was my goal, but I just wanted to finish, and with that goal in mind, I didn't enjoy myself. Runner friends, if you have trained for a marathon, a half-marathon, or a 5k, please, set a goal for yourself that doesn't belittle your training because when your goal just to finish, you give yourself the possibility that you won't finish. 4. I forgot to wear my name on my bib. This was a rookie mistake but not wearing my name on my bib made those last miles when there were few spectators so much more difficult. I felt like I was on my own out there. Without anyone shouting, "Go Christy!" or "You can do it, Christy!" I felt like I had no support. You know the quote, "The sweetest sound to anyone's ears is the sound of his own name." That is so much truer when you're at Mile 25 of a marathon. Wear your name on your bib. It makes a huge difference. With these lessons learned, I'll file them away for the next one. As for now, I'll be taking some time to enjoy the offseason, finding my yoga practice again, spinning, weight training, and building my arsenal so that I can be ready for an awesome race season in 2016. What are some lessons you've learned during a race? I hope some of these will help those of you running 26.2s in the next few weeks!